My test will no longer open. 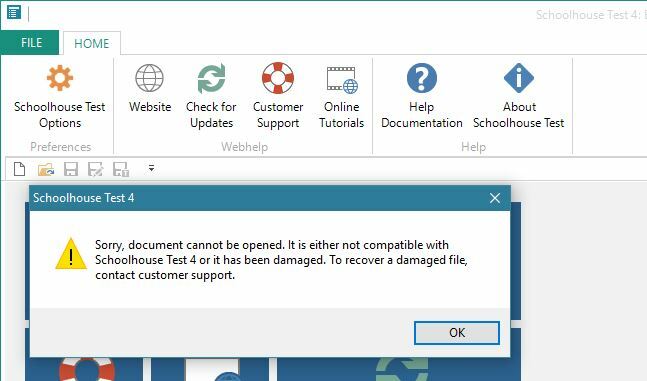 How can I recover my test document? If you have a test that will no longer open for you, contact us at support@schoolhousetech.com by email with the test file attached. Generally, a warning message will be shown when you attempt to open the test document. When this warning message appears, email your test file to us at support@schoolhousetech.com and we will attempt to recover the data that is available in the test file. If you do not hear back from us within one business day please do follow up to ensure that we have received your email and test file.